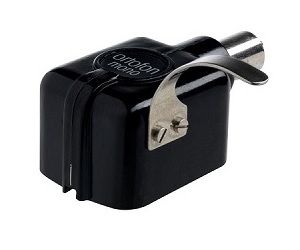 Danish phono cartridge manufacturer Ortofon can trace it’s roots back to 1918 and was responsible for producing the world’s first mono cutter head for the gramophone industry back in 1946, followed by the first Moving Coil cartridge in 1948. Since then Ortofon has gone on to produce some of the industry’s most highly regarded phono cartridges and their Moving Magnet range is available for as little as €34.00 (OM1S) with the 2M range starting at €109.00 (2M Red) up to the highly acclaimed 2M Black priced at €559.00. Entry level Moving Coil cartridges begin with the MC Quintet Red priced at €279.00, going up to the amazing MC Anna priced at €6250.00 with models to suit every budget in between. Unlike many others, Ortofon offer replacement styli for all their Moving Magnet models. If your Moving Magnet stylus is broken or worn, we can supply replacements and as an official reseller and we are of course qualified to fit it for you! In addition, Ortofon offer a generous exchange policy for Moving Coil cartridges. Regardless of where it is purchased, Ortofon will buy back the cartridge at 25% discount towards an equivalent or upgraded model. As authorised dealer, we can handle the whole process for you and even give you some sound advice on an upgrade. Ortofon SPU Series, Exclusive Series, Vintage Series and the Cadenza Series are covered by a special repair program, which we can also assist with.